We suggest you park in the areas highlighted in blue on the map below (City Park Softball/Baseball Field Lots and diagonally along Oat Street). 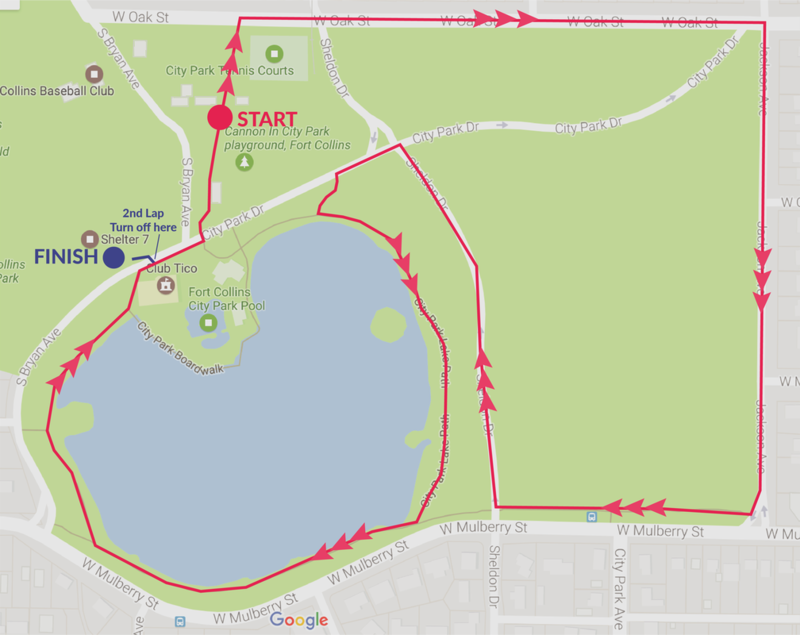 Familiarize yourself with the race route on the map below. There will be one full lap along the red path, and a second (final) lap that turns off slightly early at the designated "Finish" area.